British designer Fay Murphy who is the artistic spirit behind Chapter 2, a brand who creates the most special children shoes, began her career designing beautiful accessories for Dries Van Noten in Antwerp, Belgium, where she developed a sense of style, a love of colour, texture, and an appreciation of the quality of luxury. Moving to Barcelona, Spain she designed her own footwear range for an exclusive boutique in New York; and has also worked for various fashion brands in the UK including FitFlop, Boden and Topshop. 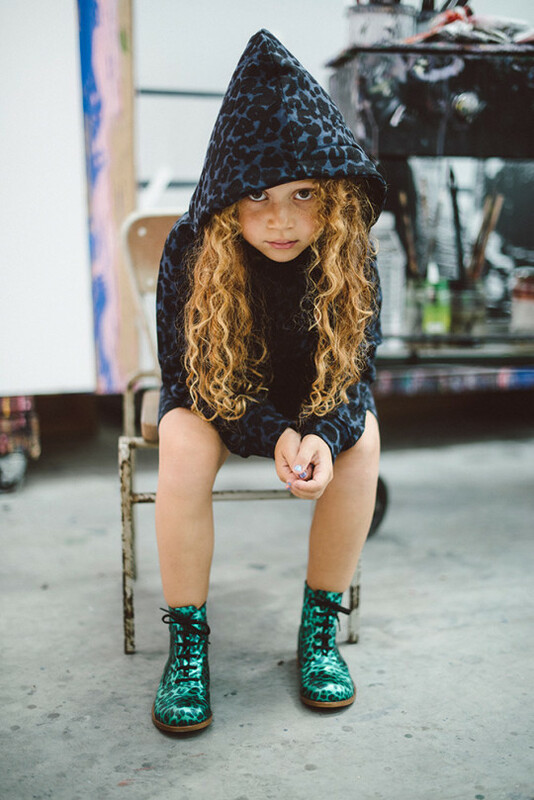 Now Fay is using her sparkling energy to create her own children’s shoe collection: Chapter 2… where each pair of shoes are handmade at their in-house footwear workshop near Richmond, London by Fayʼs shoemaker husband Tom. Like Fay also a graduate of prestigious Cordwainers College, Tom is one of a small circle of young shoemakers in the UK, breathing new life into the traditional craft of shoemaking. This year, after seeing artist Martin Creed’s glorious and colourful London exhibition, Fay and Tom picked up paint and airbrush and started to use soft buffalo leather as canvas. 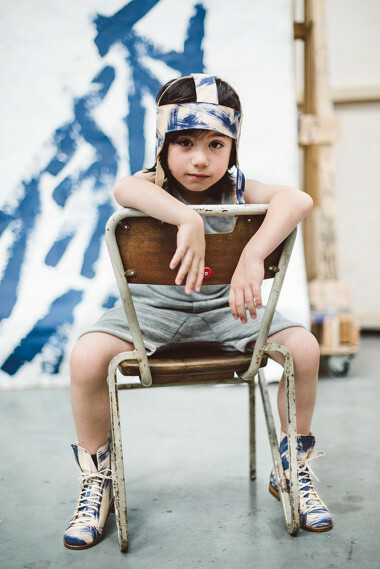 They also took inspiration from stylish vintage sports shoes and created their new key style: The Monkey Boots… an unisex range of shoes for kids aged 4 – 10 years old. 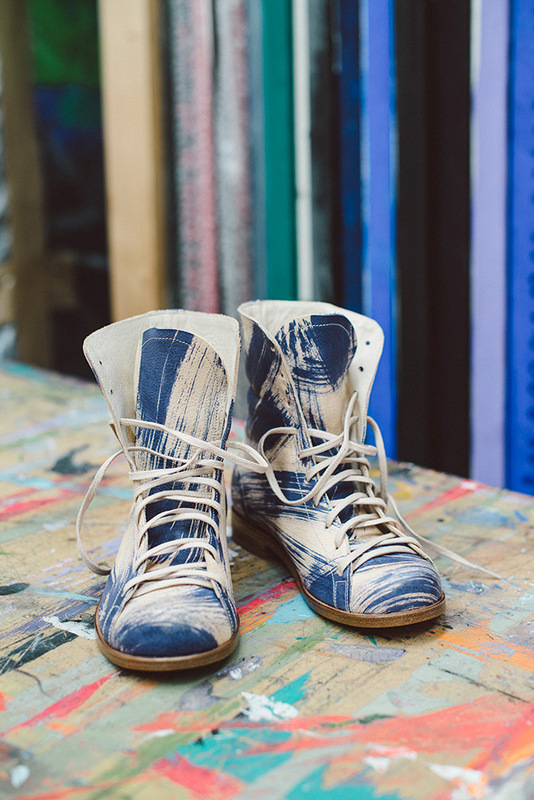 All boots come in different designs… graphic, classic, dazzling platinum or Leopard print… some of them are hand painted which means all are unique, no two shoes are the same. 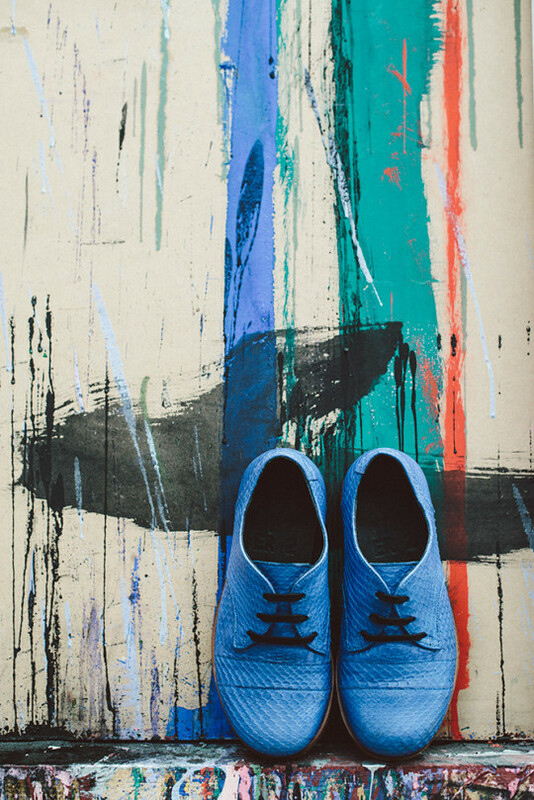 With a playful twist on practicality, there is a turquoise rubber cloud floating on leather soles to stop little ones sliding around. A mixture of raindrops, lightning strikes and stars are lovingly hand tooled onto the beautiful soles, making each pair a little piece of art.